The only patented disposable, easy to use surgical mats addressing three major Operating Room issues: surgical comfort, fluid buildup and overall safety. 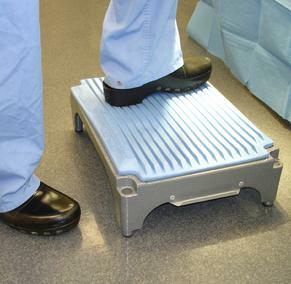 Designed and tested by world class surgeons, operating room nurses and technicians, THE SURGICAL MAT™, THE MINI MAT™ and our newest product, THE SUCTION MAT™ (patent pending), incorporate a revolutionary engineering process consisting of a non-slip molded foam with custom tapered fluid channels. These channels not only aid in keeping the surgical team's feet dry, but also reduce the risk of tracking body fluids throughout the surgical suite. The elasticity and cushioning of our mats provide exceptional comfort during prolonged, strenuous surgeries; mitigating foot, leg and back pain which can hamper productivity and focus. 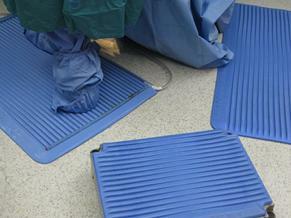 The innovative features of our surgical mats make them a necessity in every Operating Room. Gateway Medical is an independent manufacturer and distributor of surgical products. Our goal is to provide technologically advanced products that make clinical and economical sense for today’s challenging OR environment. Our highly trained national sales force ensures we deliver service second to none.